We now plan to worship on the Grissom Campus on Sunday, April 14! We make this announcement knowing that it could be subject to change. But we want to give you as much notice as possible so that you can make your plans. As of today, we anticipate that our final worship service at Kings downtown will be held on Sunday morning, April 7. That historic date will be significant for all of us, especially for those who hold many sacred memories in this most special place. And, of course, we have been looking forward to the grand opening of the Grissom Campus since construction began two years ago. Noting that the 14th is Palm Sunday, there is a sense in which all of us will process into our new surroundings on that glorious morning! Assuming that this plan holds true, there are a couple of details which are important. First is the schedule. Beginning on our opening Sunday at Grissom, the new morning format is as follows: 8:30 Early Service in the front of the Sanctuary (no balcony); 9:00 The Gathering in Wilkes Hall (with food prior); 10:00 Education Hour (classes can be flexible); 11:00 Worship in the Sanctuary. 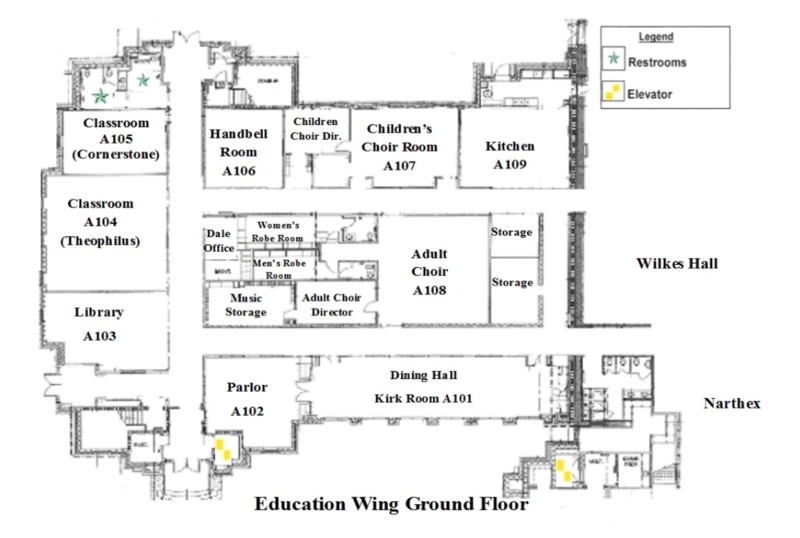 A floor plan of the new education space is shared below. 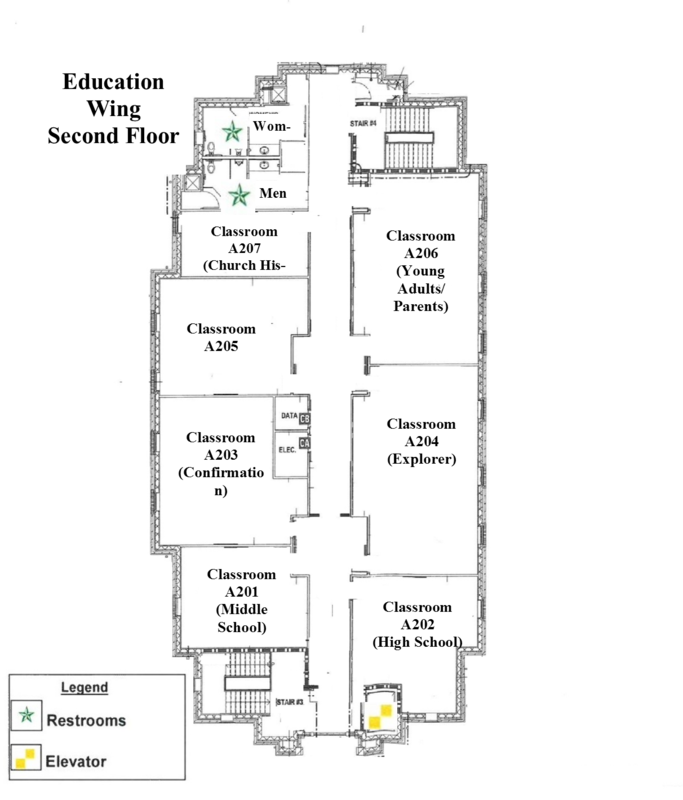 Signage for each classroom will be in place upon your arrival. Enjoy these most exciting days in the life of our church. We are living this historic transition together!